OXY is the first over-the-counter brand acne product that offers a free iOS and Android App to help teens clear their skin through a tailored regimen. 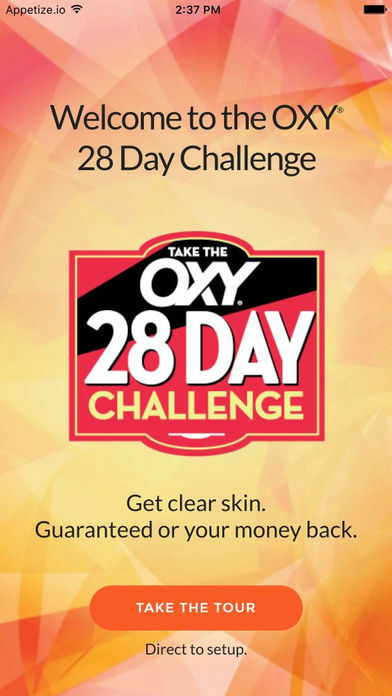 The OXY 28 day challenge is the perfect way to take action and get a step ahead of acne to help teen’s look and feel their best as they get ready to head back to school. With the app, you can select your current level of acne, get a recommendation of which OXY products to use and a dermatologist approved acne care regimen of how to use them. You can set daily alerts to help remind you what to do and you can track your progress with selfies. Clear skin doesn’t happen overnight. It takes time with consistent treatment so keep up the Challenge for 28 days and you’ll have visibly clearer skin, guaranteed or your money back. 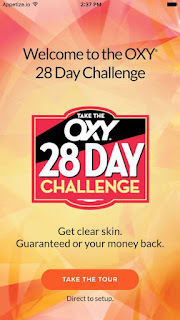 To learn more visit http://oxyskincare.com/28-day-challenge and download the app. My Opinion: I suffer from oily skin and mild acne even though I’m not a teenager I took the 28 day challenge myself and use the Rapid Treatment Face Wash Maximum Action which helps prevent Acne, kills acne bacteria, skin soothing formula and made with Benzoyl Peroxide; this helped with my oily skin tremendously which I was happy about. This is perfect for Back to School as we know high school and or middle school can be very uncomfortable and at a time in your life where you’re trying to find out who you are.